Mutual funds pool the money of many investors who share similar objectives, creating diversified portfolios under professional management. 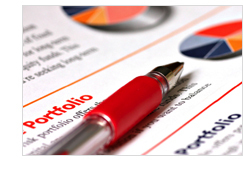 A mutual fund may invest its shareholders' money in stocks, bonds, or both. Some mutual-fund companies provide families of funds, allowing you to switch your money from one fund to another as your investment objectives change. Many funds allow an initial investment as low as $250-$1,000 and can provide convenient reinvestment of dividends and capital gains. Many also allow you to take advantage of a proven investment discipline called dollar-cost averaging—investing the same number of dollars at regular intervals—through convenient payroll deduction. We offer a variety of stock, bond, and balanced (stock-and-bond) mutual funds from several companies—including municipal-bond funds designed to yield maximum tax-exempt income. We also offer unit investment trusts (UITs), which provide diversified portfolios of municipal, public debt, and equity securities. Professional management. When you invest in a mutual fund you are hiring full-time professional managers to buy, sell and monitor your investments. Most mutual funds also employ research analysts who follow companies closely and interview corporate executives, suppliers and customers of companies in order to identify the best possible investments. Diversification. In a mutual fund, your money is invested in dozens or even hundreds of securities, a costly and cumbersome process if you do it on your own. Owning a diverse mix of securities doesn't eliminate risk, but can reduce it, as the ups and downs of the individual securities often offset each other. Quick access to your money. In most cases, fund shareholders can sell some or all of their shares at any time and receive the current market value of their investment. A wide range of convenient services. You can make your financial life easier by using the special services offered by most mutual funds: automatic investing and withdrawal, reinvestment of fund distributions and electronic transfer of funds. Mutual funds offer a flexible selection of pricing options: Class A, Class B, and Class C shares. Class A shares are sold with an up-front sales charge, which declines as the investment amount increases. For many shareholders—especially those with significant account balances—this remains the most cost-effective way to own mutual fund shares. Class B shares have no up-front sales charge but have higher expenses than Class A shares. You may pay a fee if you sell shares within six years of purchase. These shares convert to Class A shares after eight years, with lower expenses and no redemption fee. Class C shares do not have an up-front sales charge, but investors are subject to a 1% contingent deferred sales charge on shares sold within 12 months of purchase. In addition, investors pay higher expenses than on Class A shares. Speak with your Financial Advisor to see which type of shares would be right for you and your investment goals. Typically, mutual funds are organized into four investment categories: growth funds, growth and income funds, income funds, and tax-free funds. Each has its own degree of risk. Your financial advisor can help you review the prospectus and decide which funds are most suitable for your long-term investment goals. Designed to maximize the value of your investment over time, these funds invest in stocks of companies with a strong potential for above-average growth. Designed to provide growth and income in varying proportions, these funds invest in stocks, bonds, or a combination of both. Designed to provide a regular stream of income, these funds invest in interest-paying bonds, dividend-paying stocks, or a combination of both. Designed to provide regular income generally exempt from federal and certain state and local income taxes, these funds invest in municipal bonds. Designed to provide capital appreciation by investing in markets located overseas (international) or those located in any region of the world (global), these funds offer investment strategies that include growth, value or a combination of both.